It was October 2014, and the new Palestine Museum I was working with sent me on an assignment. I was to photograph the Palestinian village of Battir, declared a UNESCO World Heritage site under the title, “Land of Olives and Vines—Cultural Landscape of Southern Jerusalem, Battir.” The village was also included on a list UNESCO maintains of sites declared World Heritage in danger “after finding that the landscape had become vulnerable under impact of sociocultural and geopolitical transformations that could bring irreversible damage to its authenticity and integrity.”1)“Palestine: Land of Olives and Vines—Cultural Landscape of Southern Jerusalem, Battir, inscribed on World Heritage List and on List of World Heritage in Danger,” UNESCO, available online at https://en.unesco.org/news/palestine-land-olives-and-vines-cultural-landscape-southern-jerusalem-battir-inscribed-world. Palestine’s campaign to have Battir declared a World Heritage site was rooted in their struggle to thwart Israel’s plans to destroy the village by building a separation barrier through it. It was a watershed moment for Palestine. That any Palestinian landscape would be named a World Heritage site while also recognizing that heritage to be in imminent danger because of Israel was, in itself, a victory. The language used by the UNESCO committee clearly lent legitimacy to Palestinians’ historical narrative of their continued presence on the land for over a millennium and listed Battir in the “State of Palestine.”2)“Palestine: Land of Olives and Vines—Cultural Landscapes of Southern Jerusalem, Battir,” UNESCO, available online at https://whc.unesco.org/en/list/1492/. 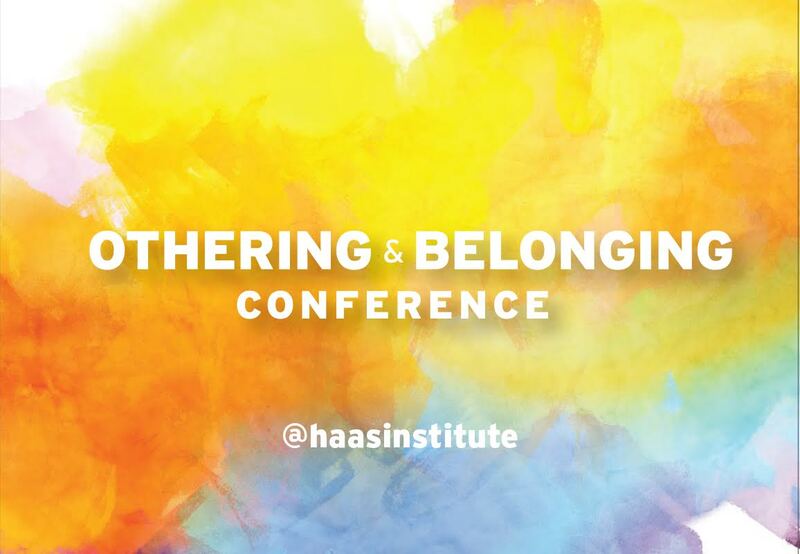 www.developingchild.harvard.edu, (10.03.18). It also put the international world on notice that the destruction of Battir would be a loss not only for Palestinians, but for civilization as well. In the context of Israel’s destruction of hundreds of Palestinian villages before and after Israel’s creation in 1948, Palestinians have long resisted Israel’s ongoing policy and practice of expropriating their remaining land in Israeli settler territory under the pretext of security. Countless resolutions have been passed by the United Nations condemning the separation barrier, occupation, and settlements, but to no visible effect or change. This declaration, however, felt different. There was hope that it would provide some measure of protection for Battir by stopping a wall from dividing the farmers from their land. Indeed, the declaration only helped one village, but it served as a symbolic, moral win in the struggle for continuous sovereignty over Palestinian territory and the freedom of movement for the Palestinian people—one that played out on an international stage. Battir is an anomaly, an outlier in the constantly changing and shrinking Palestinian landscape under a brutal occupation. 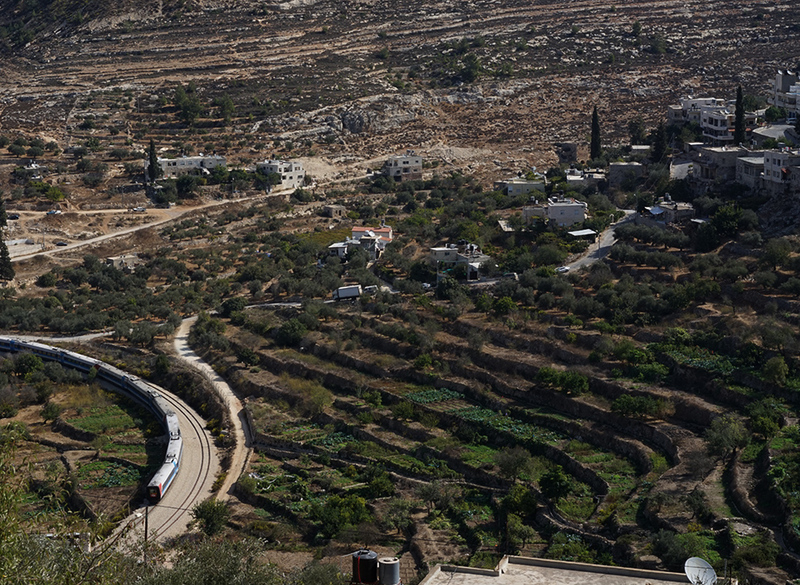 Located six miles southwest of Jerusalem, on the path of the historic Jaffa–Jerusalem railway, Battir still reflects its Palestinian identity rooted in centuries of farming traditions. 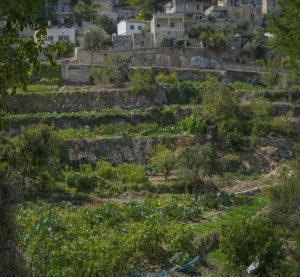 The quest to save Battir’s fields and the historic terraces still watered by a Roman-era irrigation system was not only to maintain a way a life, but also to preserve a living archive of Palestinian history, culture, and resistance. Under enormous odds, Battir has once again stemmed the tide of its impending annihilation. This nonviolent struggle to defeat the encroaching expansion of the separation wall can be further understood through its heroic and creative efforts to survive in the aftermath of the 1948 war that brought over four hundred Palestinian villages to their end. Somehow Battir remains intact, free of the separation wall, and its inhabitants, all Palestinian. As I pulled up to the village of Battir in a taxi with my husband and two sons, I was transported into a time warp and reality confusion. The view of the precipitous slope, of its lush valley unencumbered by the separation wall, recalled haunting stories and old photographs of historical Palestine’s open, serene beauty prior to the Nakba (Arabic for “catastrophe”) of 1948. The visual scars of the occupation disappeared into vivid green hues smartly arranged into 2,000-year-old stacked terraces leading my sight up to the heavens. 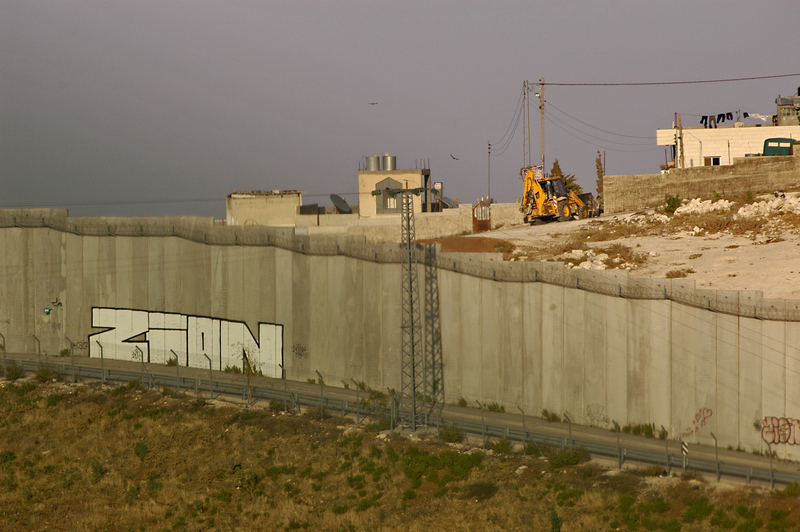 Walls made of stones, not concrete walls of the separation barrier. The cascading fields in full bloom sparked imaginings of sacred gardens. Springs. Olives. Fruits. Battir is Eden. It is also located in a zone that Israel is desperate to rid of its Palestinian identity. Battir is located in what is known as “Area C”—a land designation from the 1995 Oslo II Accord that divided the West Bank into three types of areas. Most of the Palestine population were located in urban areas designated as Area A (full Palestinian Authority control) or Area B (under Palestinian Authority civil control and Israeli military control). The remaining 62 percent of West Bank territory, which was mostly the natural and agricultural land mass surrounding Areas A and B, was designated as Area C and placed under full Israeli administrative, construction, military, and civil control. Israel’s control of Area C was meant to last only five years before being transferred to the Palestinian Authority and, in some areas, slotted for further negotiations when drawing the final boundary status. 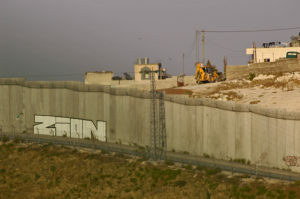 Today, Area C clearly displays the intention of Israel to create permanent facts on the ground through its occupation and its apparatus: the navigation of a dizzying array of military checkpoints and twenty-five-foot concrete walls controlled by the Israeli army; the road blocks and barriers cutting roads and routes of Palestinian movement; the settlements deep into West Bank territory with their enormous system of highways and watchtowers to incorporate and connect the illegal Israeli settlements into Israel proper; the massive expropriation of Palestinian land through the demolishing or confiscation of Palestinian homes, farms, and groves; and the complete control of water aquifers and natural resources. All future potential for Palestine’s urban, agricultural, and economic development is either blocked or disposed by Israel’s policies and activities in Area C, which often spreads into Areas A and B with arbitrary laws feigning security concerns.3)“Planning Policy in the West Bank,” The Israeli Information Center for Human Rights in the Occupied Territories (November 11, 2017), available online at https://www.btselem.org/planning_and_building. Battir village is lying within the closed Etzion Block. The Segregation Zone will pass through Battir land south of the armistice line dividing its land into three strips. The first strip will be behind the Segregation Zone, while the second will be used and destroyed by the Segregation Zone construction. The third strip will be a buffer zone with restricted uses…According to this new route, the Segregation Zone will not pass along and on the Armistice Line of 1949…the Segregation Zone will cross the north-west boundary of Battir village inside Battir Village land. It will cross the Valley and Battir hills and the rich cultivated and irrigated land without any consideration to the values of this land to its owners and without any consideration to the damage that it will create to the natural life and natural systems.4)Jad Isaac, Walid Halayqa, Jane Hilal, Anwar Qubaja, Manal El-Butmah, and Nael Jubran, “The Environmental Impacts Assessment of the Israeli Segregation Plan on Battir Village,” The Applied Research Institute—Jerusalem (2005), available online at http://www.arij.org/component/content/article/99-publications/papers/2005-papers/338-the-environmental-impacts-assessment-of-the-israeli-segregation-plan-on-battir-village.html. The report makes several mentions of Battir’s proximity to the armistice line and the village lands lying behind it, which fell into Israeli territory after the 1948 war. While Battir defended itself militarily during the 1948 war, King Abdullah of Jordan essentially forfeited the village after the war when he surrendered the railway to Israel. According to research by Jawad Botmeh (2006), Battir reached an agreement with Israel that saved their village. Driven by Battir’s own initiative under the leadership of its resident Hasan Mustafa, who lobbied Jordanian officials, they developed strategic actions to secure Battir’s land that fell into no-man’s-land along the armistice line. It showcases Palestinian continued ingenuity in unarmed, civilian-led mass actions as forms of resistance.5)Jawad Botmeh, Civil Resistance in Palestine: The village of Battir in 1948 (Coventry, UK: Coventry University, 2006), available online at http://www.preparingforpeace.org/pdfpapers/s2-JawadBotmeh.pdf. Ideas about how to consolidate and give permanence to the Palestinian exile began to crystallize, and the destruction of villages was immediately perceived as a primary means of achieving this aim…[Even earlier,] On 10 April, Haganah [the underground militia of the Jewish community in Palestine] units took Abu Shusha…The village was destroyed that night…Khulda was leveled by Jewish bulldozers…Abu Zureiq was completely demolished…Al Mansi and An Naghnaghiya, to the southeast, were also leveled…By mid-1949, the majority of [the 350 depopulated Palestinian villages] were either completely or partly in ruins and uninhabitable.7)Benny Morris quoted in, The Origin of the Palestine-Israel Conflict (Berkeley: Jews for Justice in the Middle East, 2000), 12. Mustafa remained behind in Battir with a few others. He made sure that before, during, and after the war, the village appeared defended and completely inhabited. This included lighting lamps in the homes of the villagers, keeping animals in the yards, and other measures to make the village appear busy and filled with daily life. During the war, he developed a good relationship with the local Palestinian resistance and Arab army officers in Jerusalem. In turn, they kept their presence in the village. As such, Jewish forces were discouraged from entering a village that appeared well inhabited and defended.8)Jawad Botmeh, Civil Resistance in Palestine: The village of Battir in 1948 (Coventry, UK: Coventry University, 2006), available online at http://www.preparingforpeace.org/pdfpapers/s2-JawadBotmeh.pdf. 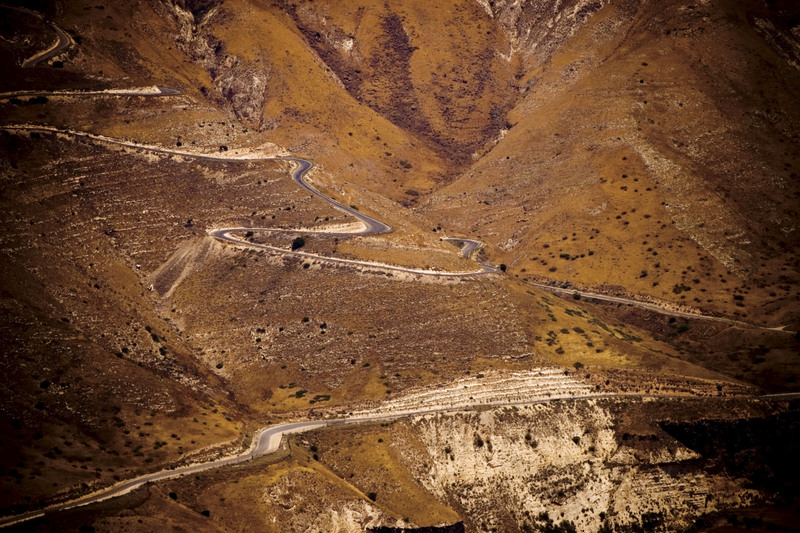 In the immediate aftermath of the war, Battir was still occasionally attacked from Israeli forces across the valley. Mustafa convinced some villagers to return to Battir. Cut off from food, work, and humanitarian aid located in refugee centers away from the frontline, they switched to low-maintenance crops in the areas exposed to Israeli fire, a tactic to lessen their exposure to daily danger. However, the largest threat to the village was the valuable railway connecting Jerusalem to the coast. It was located in the no-man’s-land of the armistice line; in order for Israel to gain its control, they needed to depopulate the remaining Palestinian villages within the corridor. King Abdullah agreed to forfeit the railway and remove his troops from the no-man’s-land, essentially sealing Battir’s fate. Had Mustafa not lobbied sympathetic Jordanian military officials by making a case that the village was not conquered and still inhabited by the villagers, as well as being present on the day of Battir’s demarcation to defend every hill, valley, and road from Israeli deception, Battir would not be what it is today. The final 1949 Armistice Agreement between the Jordan and Israel governments spelled out terms for villages along the line; this included language that Israel would allow Battir residents to continue cultivating their own land inside the armistice line in exchange for their guarantee to safeguard the railway from attacks. Mustafa ensured the safety of the railway and agreed that the villagers themselves would cease to use the railway in exchange for ownership and access to their own land. Finally, he embarked on a program of community development to revitalize the village, including a road to connect Battir to Bethlehem and building a school for girls.9)Ibid. In January 2015, Israel’s Supreme Court froze construction on the separation wall in the Battir valley. Israel’s Ministry of Defense asserted its right to revisit the route should it feel it necessary in the future.10)Nir Hasson, “Palestinians, Settlers, Greens Declare Victory in Court Ruling on Separation Barrier,” Haaretz (January 2, 2015), available online at https://www.haaretz.com/.premium-palestinians-israelis-laud-s-court-decision-1.5356139. While the same would not be true for other villages uprooted and for Palestinian land lost and destroyed to the segregation wall, it did highlight the multiple civil and cultural acts of nonviolent resistance that Palestinians have always participated in. In spring of 2018, the international community witnessed the Palestinians in Gaza participating in a grassroots campaign of civil disobedience and cultural action. The Great Return March coincides with the forty-second anniversary of Land Day on March 30, with activities taking place over six weeks that culminate with the seventieth anniversary of the Nakba on May 15. Wedding celebrations, barbeques, traditional bead baking, folk dancing, circus acts, singing, and reading chains were among the many activities taking place to express Palestinian cultural life as a living process toward freedom. The protesters celebrating culture over those six weeks were met with violence by Israeli soldiers, who killed 112 Palestinians and injured over 13,000.11)“Health Ministry: Israel Army Killed 112 Palestinians, Injured 13,190 Since March 30th,” IMEMCnews (May 21, 2018), available online at http://imemc.org/article/health-ministry-israeli-army-killed-112-palestinians-injured13190-since-march-30th/. The right to live one’s culture without danger and to preserve its integrity for the present and future is an essential right of every human. 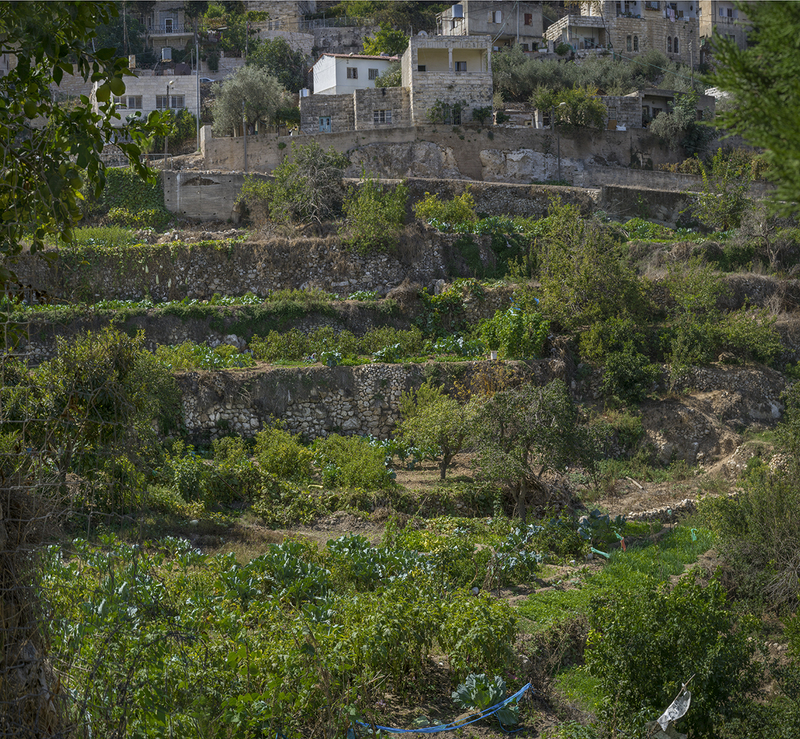 Battir residents, for now, have maintained a process for preserving and living their cultural traditions. It contributes to the dynamic ingenuity for creative, evolving resistance that is the foundation of the Palestinian popular struggle. For Palestinians, their right to live and prosper remains elusive, but their determination endures. 1. 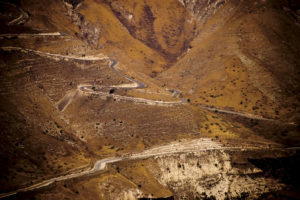 ↑ “Palestine: Land of Olives and Vines—Cultural Landscape of Southern Jerusalem, Battir, inscribed on World Heritage List and on List of World Heritage in Danger,” UNESCO, available online at https://en.unesco.org/news/palestine-land-olives-and-vines-cultural-landscape-southern-jerusalem-battir-inscribed-world. 2. ↑ “Palestine: Land of Olives and Vines—Cultural Landscapes of Southern Jerusalem, Battir,” UNESCO, available online at https://whc.unesco.org/en/list/1492/. 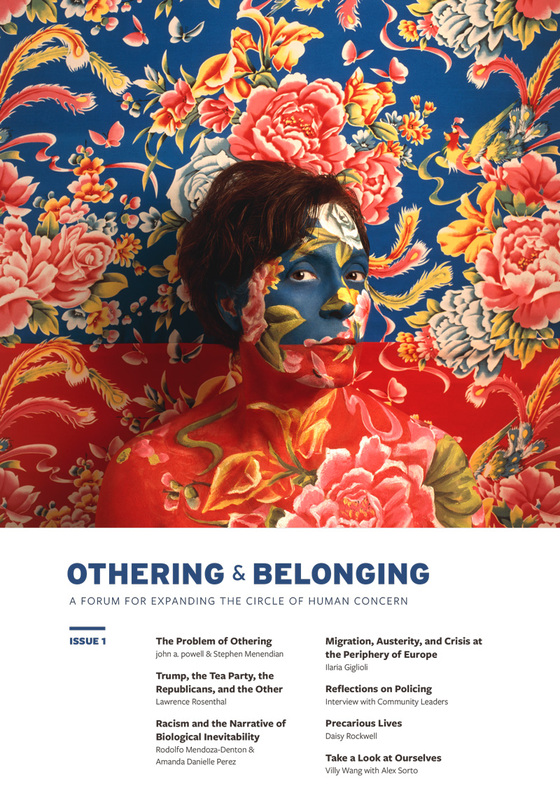 www.developingchild.harvard.edu, (10.03.18). 3. ↑ “Planning Policy in the West Bank,” The Israeli Information Center for Human Rights in the Occupied Territories (November 11, 2017), available online at https://www.btselem.org/planning_and_building. 4. ↑ Jad Isaac, Walid Halayqa, Jane Hilal, Anwar Qubaja, Manal El-Butmah, and Nael Jubran, “The Environmental Impacts Assessment of the Israeli Segregation Plan on Battir Village,” The Applied Research Institute—Jerusalem (2005), available online at http://www.arij.org/component/content/article/99-publications/papers/2005-papers/338-the-environmental-impacts-assessment-of-the-israeli-segregation-plan-on-battir-village.html. 5, 8. ↑ Jawad Botmeh, Civil Resistance in Palestine: The village of Battir in 1948 (Coventry, UK: Coventry University, 2006), available online at http://www.preparingforpeace.org/pdfpapers/s2-JawadBotmeh.pdf. 6. ↑ Historians commonly describe the various Jewish paramilitaries operating within Palestine prior to 1948 as “Zionists,” as their intent was to establish a Jewish state. Correspondence with Dr. Maha Nassar, Associate Professor, Modern Middle East History, Islamic Studies, at the University of Arizona. 7. ↑ Benny Morris quoted in, The Origin of the Palestine-Israel Conflict (Berkeley: Jews for Justice in the Middle East, 2000), 12. 10. 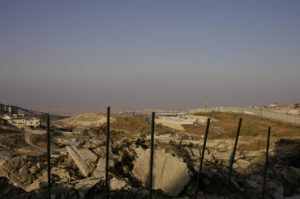 ↑ Nir Hasson, “Palestinians, Settlers, Greens Declare Victory in Court Ruling on Separation Barrier,” Haaretz (January 2, 2015), available online at https://www.haaretz.com/.premium-palestinians-israelis-laud-s-court-decision-1.5356139. 11. ↑ “Health Ministry: Israel Army Killed 112 Palestinians, Injured 13,190 Since March 30th,” IMEMCnews (May 21, 2018), available online at http://imemc.org/article/health-ministry-israeli-army-killed-112-palestinians-injured13190-since-march-30th/. Sama Alshaibi is an artist of Palestinian-Iraqi origins and a naturalized US citizen. Her artwork explores struggles that arise in the aftermath of war and exile. She is professor and chair of photography, video and imaging at the University of Arizona, Tucson. Sama received the 1885 Distinguished Scholar title in 2013, a visual arts grant by the Arab Fund for Arts and Culture in 2017, and was awarded a Fulbright Scholar Fellowship in 2014 as part of a residency at the new Palestine Museum in the West Bank. Her monograph Sama Alshaibi: Sand Rushes In (Aperture, 2015) presents her Silsila series, which probes the human dimensions of migration, borders, and environmental demise. Silsila was exhibited at the fifty-fifth Venice Biennale (Venice, Italy, 2013), the Honolulu Biennial (Hawaii, 2017), the Johnson Museum of Art at Cornell University (New York, 2017), Marta Herford Museum (Herford, Germany, 2017), the Qalandiya International Biennial (Haifa, Israel, 2016), Scottsdale Museum of Contemporary Art (Arizona, 2016), and Ayyam Gallery (Dubai, United Arab Emirates, 2015; London, United Kingdom, 2015). Other exhibitions include at the Museum of Modern Art (New York), Arab American National Museum (Michigan), Busan Museum of Art (Busan, South Korea), Arab World Institute (Paris, France), and Darat al Funun (Amman, Jordan). Her essays have appeared in several journals and anthologies, including We Are Iraqis: Aesthetics and Politics in a Time of War, Social Dynamics: A Journal of African Studies, and Frontiers: A Journal of Women Studies.